The weariness from prayer and the realities of what the next two years will be like on the national landscape can be overwhelming. For those who are discouraged about the recent election or anxious about the great divide in our nation, we must think beyond the present crisis and consider the deeper underlying purposes of God if we are going to persevere for the greater promise. We are not in a war of parties but of principles. It is because of our values and personal priorities that this division cannot be settled simply by winning an election. We shouldn’t be surprised at the outcome because our nation’s government is but a reflection of the Church. Because we are not united, these states are not united. Thus, we must dig deeper if we are to see any positive change for the future. Whether Republican Christians like it or not, there are many Jesus followers who feel strongly about supporting the Democratic ticket. As much as some would like to demonize them all, we must be willing to consider why it is that some believers hold on. Reminding them of the platform they stand on and its devaluing of life and biblical family, has not been enough to win them over. We must engage at a deeper level of conversation if we are to overcome our division and find common ground for the greater good of the Kingdom. I have observed that many who sympathize with the Democratic platform are focused on helping others. They value loving their neighbor, serving the poor, and aiding the disenfranchised. It is their heart of MERCY that pulls them towards those who have been victimized and it is this value that supersedes any other value or truth. Relationship is priority. For those who stand by the Republican ticket, you will hear repeatedly their call for TRUTH. They are focused on what is right, looking for the facts, and holding to the law. They look for justice because they believe that truth is freedom. Even if it means a few relationships are negatively affected, they believe any temporary cost will be for the greater good. Obviously, these are gross generalities, yet both principles are biblical values, and thus the great divide within the Church. Our battle cannot simply be between political parties. There are deeper spiritual realities at war. If we truly believe that the Ekklesia has the overriding spiritual authority in this land, it is this battle for Mercy and Truth walking and working together that we must face. It is when these two marks of heaven come together that we will see the needed breakthrough in our government, as well as unity of heart and purpose within the Church. The poisoned root system of our nation’s government cannot be fixed by our votes. It is only when we as believers stand together for something greater that we will see the shift we so desperately need. Before we can even hope for Mercy or Truth to bear fruit in the land, we must acknowledge this prerequisite – to have a holy fear of the Lord and walk in absolute obedience to His ways. God promises His steadfast love and mercy to those who FEAR HIM and KEEP HIS COMMANDMENTS (Dt 5:10, 7:9; Ps 103:17). He is compassionate, yes, but also a holy God who requires a holy people. Without the fear of the Lord, Mercy can become self-serving, victim-minded, and limited in long-term vision. Likewise, Truth can become religious and overbearing unless tempered with compassion. The fact is, there is no true mercy apart from God’s truth. Nor can we walk in absolute truth apart from His mercy. It is these two extremes that must turn their focus towards what it means to walk in the Fear of the Lord. This is what keeps our hearts in check and our motives pure (Heb 10:28-31). For those who want truth to prevail in the land, we must show compassion to others. We must demonstrate it in our conversation and in our Facebook posts. We cannot allow the world’s hostility and rebel influence to stain our witness. For those who want mercy to be shown, we must recognize all the facts and be willing to confront some hard truths. It may require some tough love, recognizing the hand of a loving Heavenly Father disciplining His children for their ultimate well-being. I believe these next two years have been given to us to clean up our act. Weary or not, we must continue to persevere, not simply for another election, but for a sanctification of hearts and purifying of motives. We must clean up our conversation and learn to process together and not simply shout sound bites over social media. No Republican Party or Cyrus President can fix our deeper issues. WE THE PEOPLE of God must guard our hearts and minds and learn to cross the aisles of political rhetoric and personal opinion in order to form a more perfect union of a heavenly kind. I pray we have the grace to walk it out and come out, not only on the right side of history, but on the right side of eternity. This is so good! You have brought clarity in a time when confusion has been prevailing. Thank you! Powerful word. And a roadmap for the days ahead. Mercy and truth walking together. That will certainly be a new prayer of mine for God to bring this miracle to pass in our nation. Your blog gave me a greater understanding of why someone would stand behind the democratic party. Their heart of mercy can cause them to bend on the issues of truth like abortion and other issues against the ways of God. I have more understanding and compassion now for those who do not see the way I see. God is both merciful and truthful. May God have His will and purposes come to pass in the USA. We can all agree on that. Danielle – please be assured I do not want to compromise the truth. I totally disagree with the Democratic support of abortion. I am simply offering some insight as to why some believers still cling to the Democratic platform. Sad, but true. Wanda, This is such a timely post, and one that really hit home. 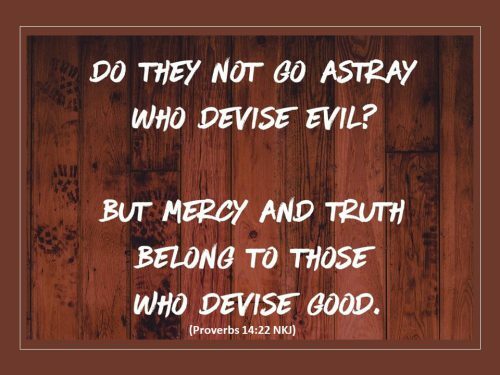 While I am not nearly as involved in the political arena as you are, I have been hearing for the past few weeks this divine call to study mercy and truth. My journal pages are filled with study notes and thoughts from prayer times on this. I am amazed at what you wrote! So like God! I will now apply this focus to prayer, especially for our national leaders. Thank you for balancing not just mercy and truth as they should be, but also the “right” and “left” sides of politics. I am so very weary of hearing the vocal battles, and believe we need each other more than we know- even with our very different viewpoints! Still praying for your book and hope all is well. Happy holidays! Blessing you and your nation from Canada’s west coast!